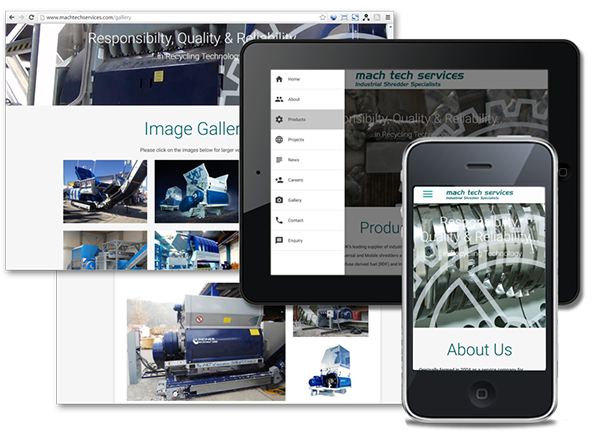 Mach Tech Services is a specialist engineering company working exclusively with Industrial Shredding Machinery. Based in the Northwest, MachTech are in prime position for all the major motorway networks which allow them to provide an unparalleled service back up to the recycling industry. Click the screenshots below to visit MachTech Services. The experience of MachTech's service engineering teams on all makes, models and types of Industrial Shredders has led to them being the suppliers of choice for many of the biggest players in todays recycling marketplace. A wide customer base ranging from owner operators to some of Britainâ€™s premier blue chip companies has ensured that the Mach Tech Services name has become synonymous with Responsibility, Quality and Reliability.